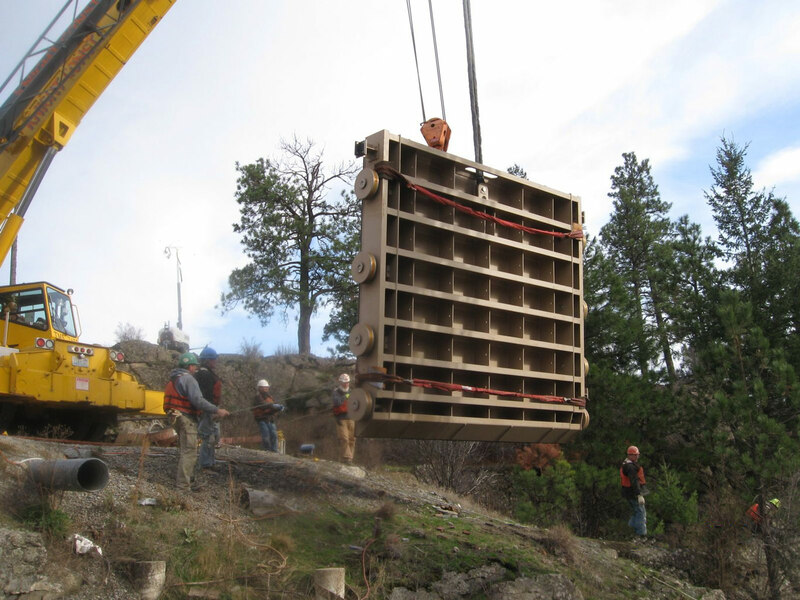 Post Falls Hydroelectric Development - SteelFab Inc. 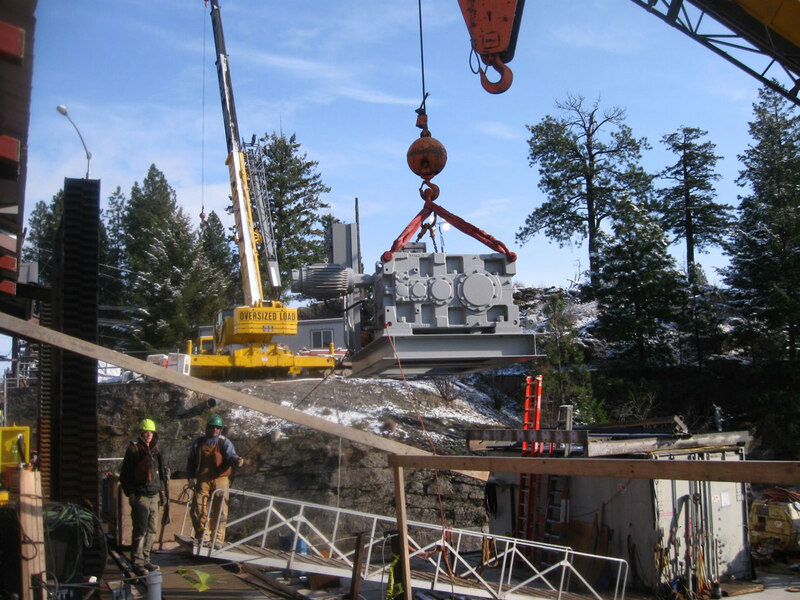 Since 2012 Steel Fab has designed and manufactured twelve electrically operated roller gates with wire rope drum hoists for Avista Corporation, Spokane Washington, formerly Washington Water Power, at their Post Falls Hydroelectric Development, (HED), in Coeur d’Alene, Idaho. 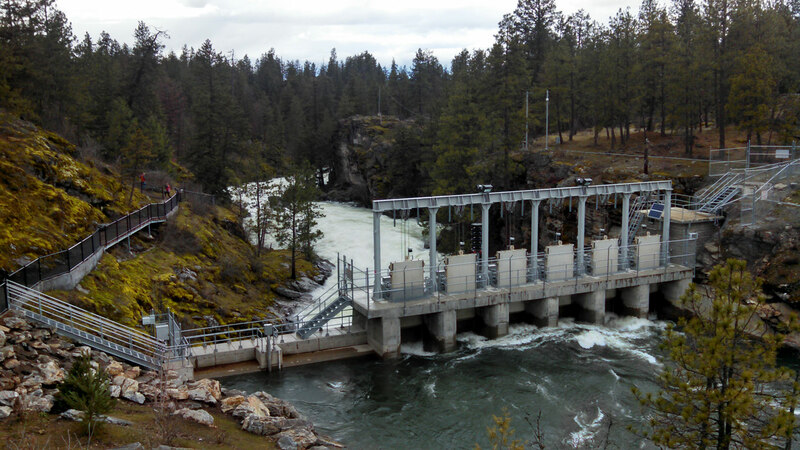 The Post Falls HED was constructed where the Spokane River branches into three separate channels with a dam in each channel. 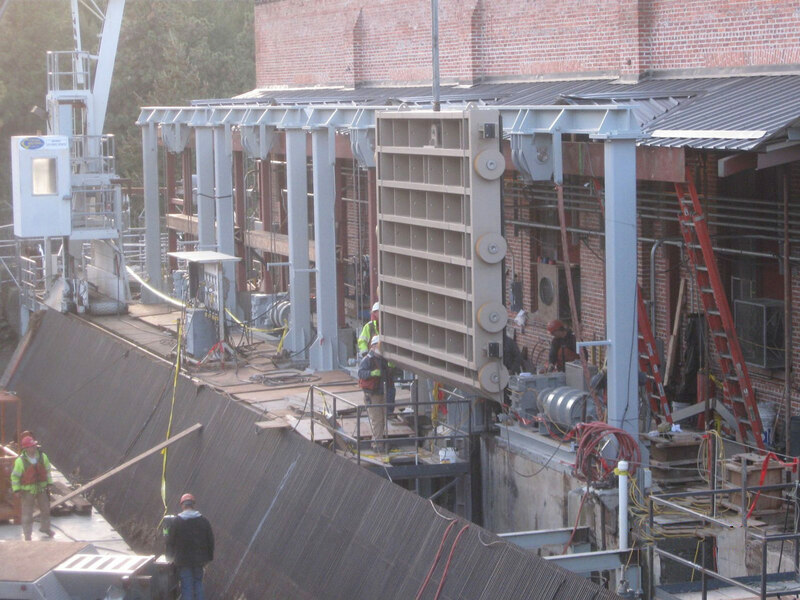 Six Steel Fab roller gates were installed in 2012 at the power house at the middle channel dam with six more roller gates installed in the south channel in 2014. Each of the gates had to be designed for installation in gate slots that dated back to the early 1900’s. Avista also required the new gates have the ability to be raised to a maintenance position fully above deck level. 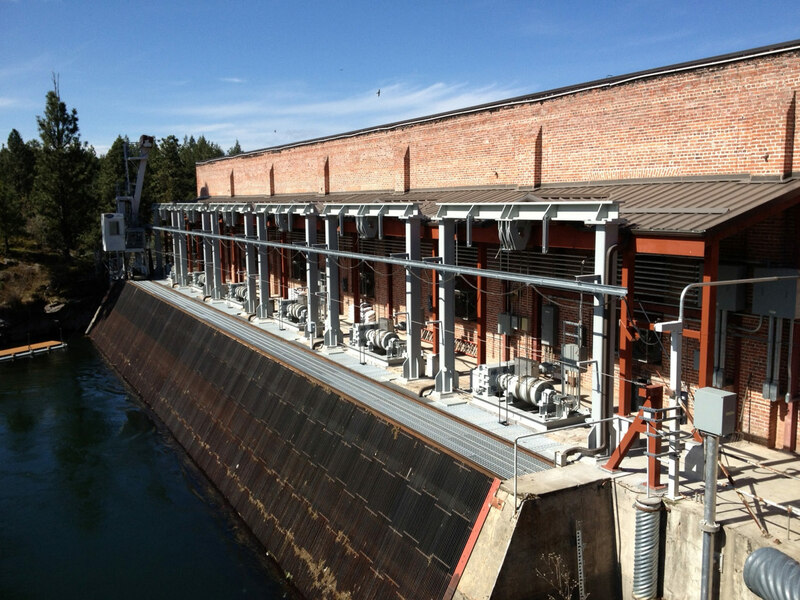 However, the hoists had to be mounted on the operating deck and not on a support structure above the gates. 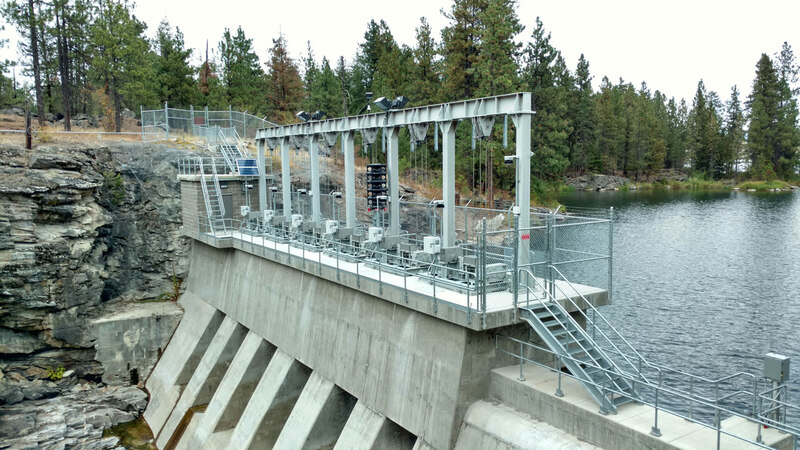 To satisfy this requirement, we designed hoists that relied on a series of sheave assemblies mounted on the gate in combination with deck mounted sheave posts. This unique arrangement considerably simplified Avista’s gate and hoist maintenance.